RUSH: I get this note: “Hey, Rush, it’s not the Russia thing. That’s been debunked. It’s now just the get-Trump thing.” Well, the Russia thing has not been debunked. It may be to you and me. Remember last week, ladies and gentlemen, I shared with you this epic piece in The Nation magazine? It was written by Patrick Lawrence. Leftist. And I guarantee you reading this thing just itself was a chore just by virtue of the way the man uses the English language. But he hired an investigative team of forensics to actually look at all the evidence, the Democrat National Committee, the server and a number things — well, The Nation didn’t do it, they’re just reporting on it, but the group that was hired to look at it. And the short version of this is they haven’t found any evidence of a hack at all. What they found is evidence of a leak. And then there were four people that make up a group called VIPS. They are ultraleft-wing members of the CIA and the NSA. I mean, they are really fringe leftists. And as I mentioned, the CIA from its founding days has had pro-communists in it. Back in the early forties, the early World War II days, back then Marxism was believed to triumph. People even on our side thought that ultimately it was gonna triumph, and the CIA attracted people of all political stripes. And there were some Marxists in there. And these guys are derivatives of that era, and even they are confirming what has been found. Now, what they’re interested in is exculpating Russia, because Russia used to be the Soviet Union, which used to be communists and they’re longing for the good old days. Putin’s Russia is more like a crime family with Putin as the big don. But there is this dream that even Putin has that one day the old Soviet Union will be reassembled and the expansion to Marxism around the world will continue and so forth. They’re not interested in exculpating Trump, but they can’t do one without the other. They can’t exculpate Russia without exculpating Trump and they’ve looked through this, and it’s long and documented. They can’t find any evidence of a hack. What they find is evidence of documentation and data being leaked, and they even got to the point of examining the speed, the data speed of transfers, and they found Russian language template documents in Microsoft Word format where a document simply would need to be plugged into it, copied and paste, an English document copied and paste, it would automatically become a Russian language document. That template was set up. Not hard to do, by the way. Nothing nefarious about that. It’s just that they found this. And they found data speeds that would only be possible if you’re transferring from a hard drive, say, to a thumb drive. Or transfer speeds from drive to drive, but not over the internet, things that would have to have been leaked. And they found no evidence that any of this data ever left the Eastern time zone. They’ve examined the metadata of the metadata. You know, metadata is simply an examination of other data. The metadata on a phone, a picture on your phone, do you know what that is? The metadata of a photo on your phone will have the time stamp and it will have the location. It will have the kind of camera. It will have the F stop, the exposure, that’s the metadata. And you can change that. If you know what you’re doing, you can go in and you can alter the location. Apple allows you to on the Mac. You can change the location. You can’t change the real location. You can change the display location. Let’s say a picture did not snap with an actual location, you had location services turned off, but you know the picture is at your home. So you can go in and you can say “home” for search purposes, show me all pictures at home. So you tag the picture as having been taken the home. The GPS data where the photo was actually taken is there and that cannot be changed, that can’t be scrubbed. That’s why people want your phone if they are investigating you. Anyway, all this is metadata, and they looked at all of this, and they found that none of these documents ever left the Eastern time zone at any time. You might be saying, “Well, they could have transferred the documents to the Russians.” Nope. It didn’t happen. Anyway, the mainstream media, there’s only been one story chronicling this Nation story. Well, actually two. But it has not become mainstream. I’ve never believed the Russian story. I’ve never believed the Russians colluded. I thought it was bogus from the get-go. I never did believe it because I know the history of it. And I certainly never believed the Russians had anything to do with the election, nothing. They couldn’t have. There was no way to tamper with the votes, and that’s what an election is. You know what’s fascinating to me? Is how many people on our side, I mean, conservatives who still, if it’s in the New York Times, it’s largely, in their minds, gonna be true. Whereas, to me, if it’s in the New York Times, it’s immediately suspect. Just a personal observation. It just astounds me that there’s so many on our side who still think there might be something to Trump and Russia colluding. And to me, it never happened. So to you and me, maybe the Russia thing has bombed out, but the Russia thing was only an element of “get Trump.” And the “get Trump” effort isn’t gonna ever stop. It’s just gonna transform. The “get Trump” effort right now, the Mueller investigation is about getting Trump, but it has been thoroughly swamped by the story from Charlottesville over the weekend, which has become the new latest and greatest “get Trump.” Whatever it is, it’s all oriented toward getting Trump, and it’s always going to be with us. It’s never, ever going to end. And, as such, this is from TheHill.com and it’s dated three days ago. So it would have been over the weekend. Former Mueller deputy on Trump, quote, “Government is going to kill this guy.” They’re not hiding their plans. They’re saying this on CNN. And the guy that said this was a guy named Phil Mudd. He’s a CNN counterterrorism analyst. And he warned that President Trump is agitating the government, saying during a Thursday afternoon interview last week with CNN anchor Jake Tapper that the U.S. government, quote, “is going to kill this guy,” close quote. Now, get this. 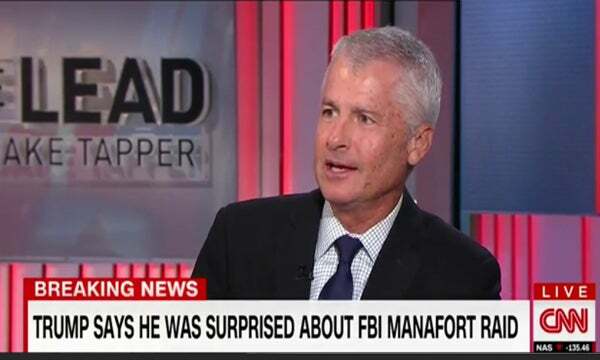 Phil Mudd, CNN counterterrorist analyst, served as deputy director to former FBI director Mueller. When Mueller ran the FBI, this guy, Phil Mudd, was his deputy director, meaning his number two, and he’s now a CNN analyst. He said of Trump’s defense of Russian President Putin, this business, the Trump joke about “I’m glad Putin expelled all those people that will save us money,” they believe this. They don’t see the humor, it’s not funny to them. They supposedly are mad at Trump when in fact Hillary and Obama were in bed with Putin. This is what I didn’t understand reading this. You’re mad at Trump for defending Putin when Hillary and Obama worked with the guy on limiting American nuclear weapons and arming the Iranians with nuclear weapons. “Mudd also broached Trump’s recent announcement of a ban on transgender soldiers in the military as another reason some in the government are turning on him.” Now, I don’t know what this means, the U.S. government’s gonna kill this guy, but those were exact words uttered on CNN. I didn’t see it. I only learned about it over the weekend when I read about this. I don’t think anybody took him literally, otherwise there’d be news about it, wouldn’t there? I mean, there’d be joyous, happy news. Somebody on CNN threatened to kill Trump, that’d be, “Yeah, you go, dude,” but we haven’t had any of that. So I’m guessing it was meant euphemistically. But the effort to get Trump has not abated and it won’t abate, and in many people’s minds and I’m telling you even plenty of people on our side, there still is this whole idea of collusion with Putin. It’s what’s driving them.